Malala Yousafzai has called for the abolition of laws “that go against the rights of women and children” as she received the Tipperary International Peace Award on Tuesday. She was shot by the Taliban in Pakistan for going to school, and left for dead. 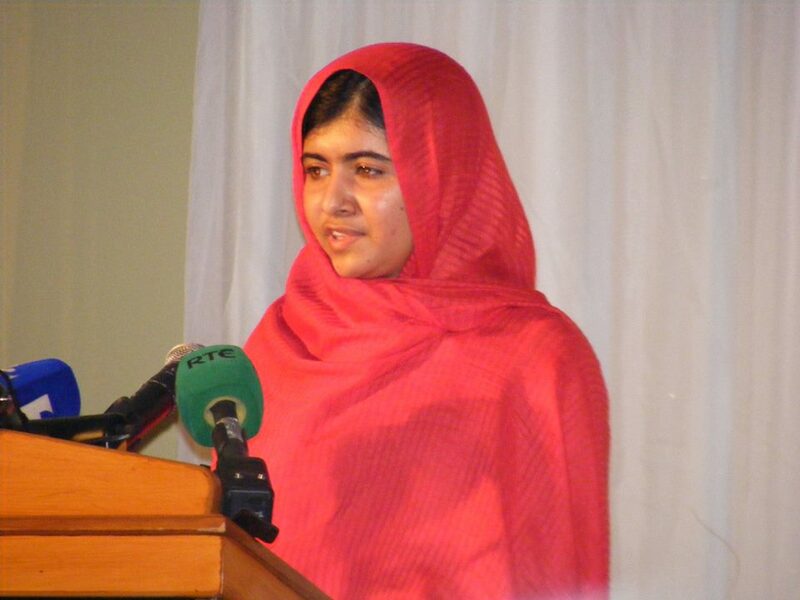 She recently addressed the UN and spoke about the importance of education for all. “I don’t want to be known as the girl who was shot by the Taliban,” she said last night to a hall packed with more than 200 people. Malala was singled out on the school bus and shot in the head and neck. Miraculously, she survived and spent many months in hospital and recuperation in London. “Some might think they can achieve anything with a gun, with war, but I believe that education is the only way to peace. Education is my war,” she said. 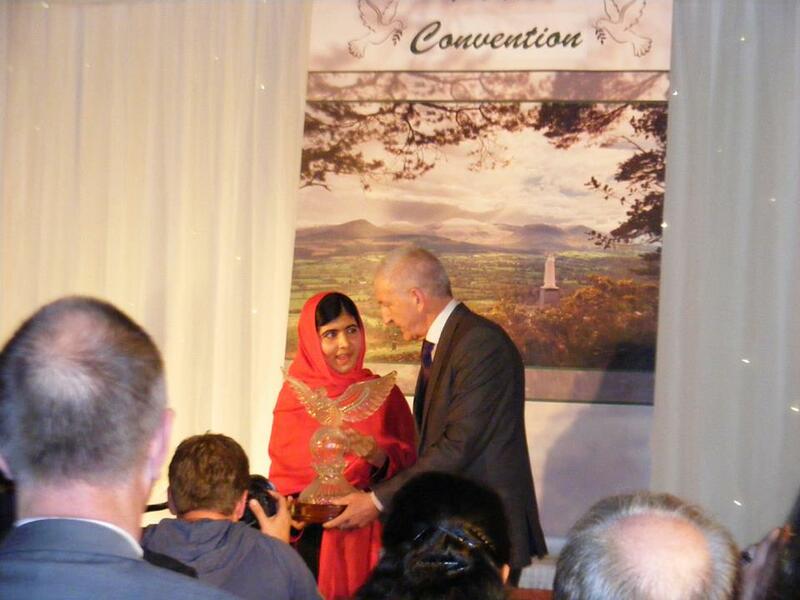 Tipperary Peace Convention secretary, Martin Quinn, said in his citation at the award ceremony at Ballykisteen Hotel in Tipperary that Malala is a symbol of our generation that struggles against illiteracy, terrorism and poverty. The award has previously gone to Gordon Wilson, Bob Geldof, Sean McBride, and many more in its 29 years of existence. Last year’s recipients were former president of Ireland Professor Mary McAleese and her husband Senator Martin McAleese. The award acts as a symbol of peace in contrast to the wartime sentiments expressed in the song associated with the county – “It’s a long way to Tipperary”. Malala began secretly writing a blog for the BBC at the age of 11. In it she described the struggles faced by girls trying to receive an education under the Taliban. In a particularly moving piece she wrote about the how her brother set off alone for his first day back at school and because girls were then banned from going to school, all she could do was open her wardrobe and looking longingly at her school uniform. She did go to school again in defiance of the rules and on 9 October last year on the school bus she was shot at point blank range. At a London hospital she had a titanium plate and cochlear implant fitted. Malala has remained in the UK, and in March, when she had recovered sufficiently, she began going to school there. However, she longs to return to her home in the Swat district of Pakistan. On 12 July she marked her 16th birthday with a speech at the United Nations in New York where she said education could change the world. Malala is a nominee for this year’s Nobel Peace Prize.